Is Differentiation Overrated? What About Being Just Good Enough? A week ago, I wrote a post,“‘Me Too,’ Is Not A Value Propsition!” With this post you’ll think that I’ve gone mad or am speaking out of both sides of my mouth. But actually this article and the “Me Too” article represent different stages our Value Propositions go through — at least in B2B sales. Too often, in speaking to people, they talk about “the value proposition,” as if it is the Holy Grail. Something that if our marketing people or product managers just got things right, all we’d have to do is utter those words, “This is our value proposition……” and immediately customers would get it, stop all competitive evaluations and buy. But value propositions are really nothing like this. Value propositions are dynamic, living, and have a very short life span. Through it’s life cycle—in a deal, the value proposition moves from being just good enough to unique, personalized, and differentiated. Marketing spends a lot of time trying to come up with The Value Proposition—-this is the statement or statements that capture the hearts and imaginations of our customers. But let’s think about the value proposition at this stage. Our only goals are to create visibility and awareness in our target markets, to create interest in our products and solutions, and, ideally, to get the customer to contact us–whether they research us on the web–ultimately, asking for information, or they pick up the phone, or they express interest—asking us to put them on our mailing list and start nurturing them, or asking for a meeting with our sales people. While a strong and compelling Value Proposition at this point is important, it doesn’t have to be differentiated or superior to the competition. In reality, it has to be just good enough. Just good enough to engage our prospects, just good enough to cause us to be considered as our customers embark on a buying process. Doing anything more and trying to sustain that over time is probably meaningless and a waste of resource. But what happens beyond this is critical. And this is where marketing and sales need to work very closely—but too often, I see little focus on this. The journey from being “in consideration” to being the winner is the tough work in developing, communicating, and delivering differentiated value. In fact, it is remarkably personal—what each customer values is different, both from organization to organization, and within the organization. If I’m selling a complex enterprise software solution, what the CFO, CIO, End User Management, and all their organizations value will be different–by role in the organization and by individual. One key secret to developing differentiated value propositions is to understand what each person value–then to use that as the context to position your value and differentiation. You must be able to say what you do for that person, how it is differentiated, and how it is superior. And you have to do this for each person involved in the buying decision. Another key is creating value in the process–our customers don’t necessarily know how to buy. Just because they have researched alternatives on the web means that they are informed. It doesn’t necessarily mean that they are well informed–sales, with support from marketing can take great leadership on this, differentiating themselves in the customer’s buying process. Marketing plays an important role in throughout this process. Marketing must first create the value proposition that creates awareness that is “just good enough.” The purpose of the value proposition at this point is to get the customer to take the next step in engagement. Then marketing needs to help build a series of content, messages and tools that can be leveraged in increasing the personalization of the messages through the buying process. These include, series of white papers and thought leadership articles, case studies and related materials that may be very specific to market segment, problem type, business process and any number of items. Marketing needs to build tools to facilitate sales ability to personalize the value proposition even more. 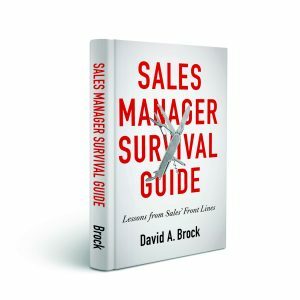 These can include questioning guides, justification guides or other materials that help the sales person understand and respond to the unique needs of each customer. Building materials to support differing buyer personas or differing use cases all improve the ability to personalize the value to the customer. Too many organizations focus on The Value Proposition—that silver bullet, that crisp statement that is applied throughout the buying process that wins. The Value Proposition doesn’t exist (I’m not sure it ever did. Starting with Just Good Enough, then buidling the materials, tools and knowledge to refine and peronalize Value is critical to success and differentiation with today’s buyers. I find it very interesting that you challenge the very history of marketing and the concepts laid down by greats like Claude Hopkins, Eugene Schwartz, David Ogilvy, Jay Abraham and the like by claiming there is no such thing as a unique selling proposition (also know as a “value proposition”). If your value proposition can be stated by the competition (it’s not unique), then it is not a value proposition at all, but as I stated a platitude. I am also curious as to what “just good enough” really means? And how a salesperson could possibly determine lowest quality proposition that would work (be just good enough) and just use that instead of the most powerful proposition available? You don’t close the sale on the value proposition, but on the benefits* to the buyer. 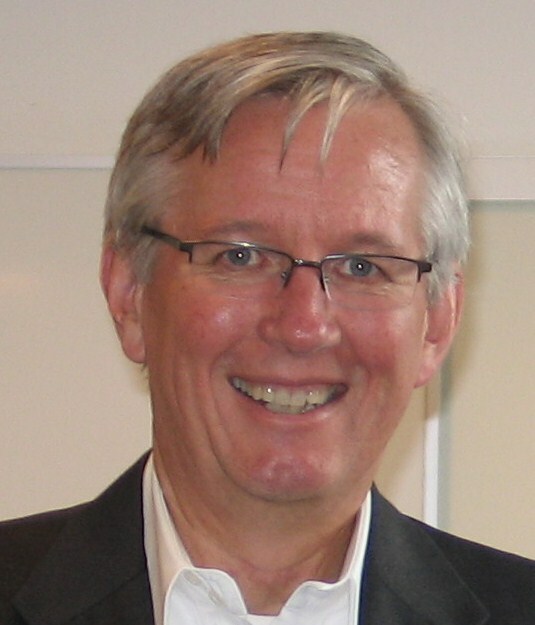 A benefit is a feature or advantage of your offer that has specifically been requested by the prospect (SPIN, Neil Rackham). Flyn: Thanks for your thoughtful comment, both here and in LinkedIn. To some degree, I think your comments are more a semantic discussion than anything else (sorry, to be contentious). To say a value proposition is not a value proposition if it is not unique may be a valid point, but then I invite you to start visiting any number of 1000’s of web sites, including those of the top companies and brands of the world. Look at their “value propositions.” (their words, not mine). There is nothing unique or differentiating about majority of them. You may be perfectly correct in calling them platitudes, but they are positioning them as value propositions. Regardless what you call them, at this point in a customer buying process, whatever they put here is sufficient if they create just enough interest to engage the customer. At this level, the “value proposition” needs to be sufficient for the B2B customer to say, “I think this solution may be something worth learning more about, it may ultimately meet my needs.” They will do this in selecting the different alternatives they will evaluate. At this point, from a sales and marketing point of view, you aren’t trying to “close” the deal, you just want to be invited to the party. This addresses the next point. The sales person never is inovlved in “just good enough.” If your value proposition is more powerful, that’s great, it puts you at a momentary competitive advantage. But this isn’t where the deal is one or lost (remember, at this point the customer and we are still “qualifying each other.” The problem however, is too many organizations and sales people, in fact, think this is where I deliver my most powerful value proposition and I keep mouthing the same words through the rest of the buying process. This is where the value proposition is nothing more than a platitude. There are a couple of things that people really miss about value and value propositions. Value is in the eye of the beholder–each customer–both enterprise and each individual involved in the buying process. Until the sales person understands what each customer values, they cannot present the set of “benefits” (though I disagree here and will get to that later) that are meaningful to the customer. They just present laundry lists of benefits, leaving the customer to figure it out themselves. Value is also dynamic, it changes through the buying process. As the customer evaluates alternatives, becomes more and better informed, what they value will evolve. It’s critical that the sales person understands that and continues to redefine value in a context that is meaningful to the customer. Your argument that the value proposition does not change may be valid–but the value proposition becomes much more refined, much more specific, much more focused, and in fact is different for each person invovled in the buying process. At it’s root, it may be the same, but how it must evolve through the process is what makes the difference between winning and losing. I believe there is a great difference in value and benefits–though again, we may be dealing in semantics. Using the definition from SPIN, though Neil discussion of value propositions and differentiation are perfectly aligned (you may want to re read Redthinking the Sales Force), a benefit is still vendor/seller driven. It is a feature or advantage requested by the customer, but you still leave the job of determining what the benefit does to the customer. The unigue, differentiated value proposition, at this point is very different. It positions the benefit in a context very specific to the customer. It both quantifies and qualifies the specific value the customer should expect from that benefit in terms that are meaningful and relevant to the customer. It focuses on specific improvements and changes the customer should expect–based on the sales person’s analysis of the customer situation and the results the sales person expects their solution will provide. The key element here is the translation of a feature or advantage the customer requests to a context that addresses the customer issues and needs–this is value creation. I suspect we are more in agreement than not, but are engaging in a discussion of semantics. Words are important, and sales and marketing people misunderstand value propositions and value. Too many value propositons are just platitudes, because people (sales and marketing alike) do not understand what value is, do not take the time to understand what their customers value, do not take the time to translate their “benefits” into value to the customer. Thanks for your thoughtful comment. Even if we may disagree, I think the discussion is important because it helps people clarify their thinking. Nobody ever bought a value proposition. I think the essence of your difference with Flyn is largely semantic, but it’s still important. We have just sat through decades of business-thinkers who manage to behavioralize and depersonalize and turn into processes the guts of business, and I just find it tiresome. People are still at the heart of things, and I think that’s what you’re saying. It’s simple, and it’s right. Mike Porter (a professor of mine) became famous partly for saying there are only two kinds of strategies in world: low-cost producer, and differentiated niche player. (Which, it always seemed to me, boiled down to low-cost producer in a more narrowly-defined market, ergo one strategy only–low cost. Which is just plain silly). That is the sense in which we have come to talk about things like value propositions–a concept which, like ratiocinating self-benefit-maximizing automatons, leaves out flesh and blood people. In that sense, Dave, you are completely right. A value proposition does not have to be distinctive at all. I will buy at one bank, one coffee-shop, one software vendor vs. another, greatly, even solely, because of the sales interaction–despite near equivalence of a value proposition. Most people care as much about the buying experience as they do about the objective features and benefits–sometimes more, sometimes less. It is far from irrelevant. Hence the validity of the point I hear you making: all you have to be is pretty much good enough from a value prop point of view; then let sales take it over. Give me a clone product and a great personal salesperson any day over someone whose value proposition is better, but sold by a someone who only knows how to hype value propositions. Charlie, as always your comments provide the clarity I can’t seem to be able to express in my posts. You’ve made so many great points. The one I want to highlight are your comments in the last two paragraphs. I believe the sales professional him/herself ultimately provides the most sustainable differentiation of all. The trust, confidence, the relationship, the fact that they genuinely care, etc. This can be truly differentiating and, as you cite, is the difference between winning an losing. As part of this, I also believe the sales person creates great value in the buying process, both in the relationship they have established, but helping guide the customer throiugh their buying process. These are all part of what I call the value proposition, and this is where the greatest differentiation always is. Unfortunately, too few understand, develop and deliver this. Thanks, as always, for making my muddled thinking/writing clearer! A fascinating discussion which to me gets to the heart of the value proposition. Taking David’s point I see the Value Proposition as a heirarchy. At the top is the corporate V.P. This is the one that needs to be “just good enough” to stimulate the interest of potential customers. It communicates the broad offer or proposition that the company is making to its potential market. Below this is the segment level V.P., based on the overall corporate V.P. but tailored to the specific needs of a particular market segment. Each segment then consists of potential customers each with broadly similar requirements but each unique in their own way. 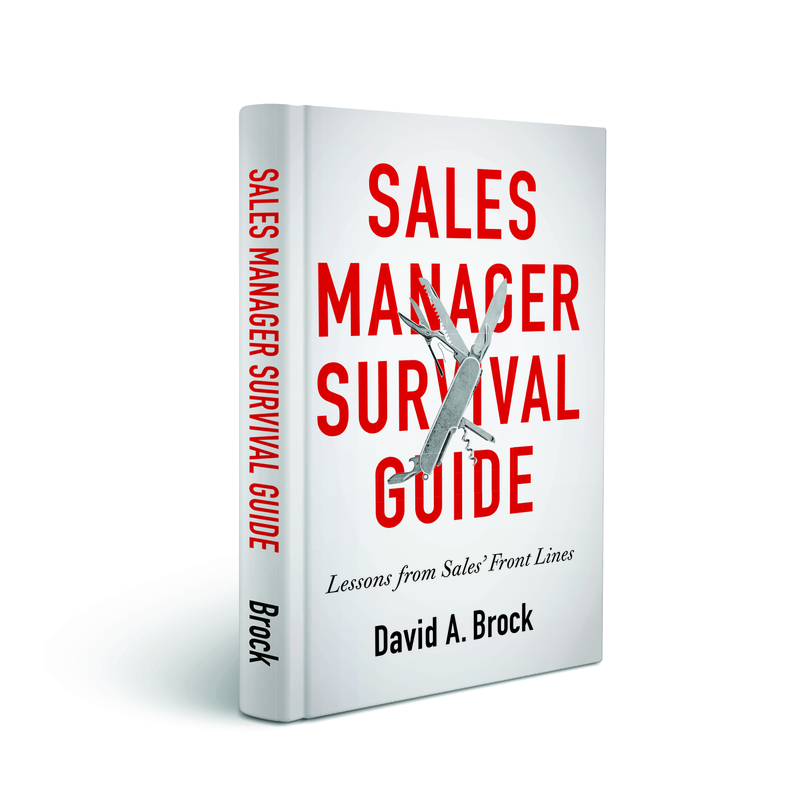 This is where the real work of the sales team, with the help and support of marketing, comes into its own. This is where they differentiate themselves from the competition. They do this by understanding the needs, issues and value drivers of their customer, developing and communicating their solutions and by capturing some of the value delivered through price more effectively than their competitors do. But businesses don’t make decisions, people do. So at the base of the pyramid are individual V.P.’s tailored to the specific needs of each of the individuals involved in making or influencing the decisions. At their core is the corporate V.P. in order to deliver a broad consistency of message. But they are honed and tailored throughout the sales process to be unique and differentiated in order to address the specific and unique needs of individual businesses and the individuals within them. Then you have to deliver the promise. Thanks for the great comment Mike. It’s a great explanation of what I am trying to express, I really appreciate you helping me clarify things. One thing you mention, in particular, as perhaps the most critical elements of value propositions—it’s delivering on the promise/commitments. Thanks for joining the discussion, hope you become a regular! Love the post as usual. I get the value prop and its importance , what I really believe is that until we understand that the prospect/client place a high value on and tie it to the need they have then offering a value prop means very little. Norman: Thanks for the comment, sorry for the delay in responding. I absolutely agree with you. Since value is in the eye of the beholder, our customers define what they value in their terms/priorities. Our value propositions and differentiation are only meaningful in those contexts. Thanks so much for the comment. It’s always wonderful to see you visiting.